Debian 9.0.1 GNOME Live DVD (32-Bit) | Linux DVD Shop - UK Linux Shop supplying Linux on CD, DVD and USB with Free UK Delivery, 24Hr Dispatch. 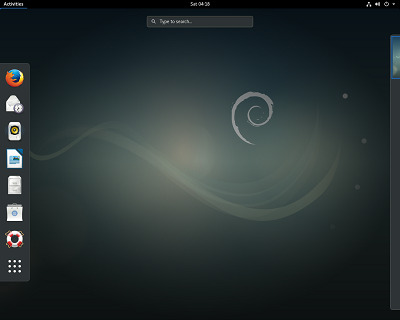 Debian Linux 9.0.1 LIVE on DVD featuring the GNOME desktop environment, a great way to try Linux without the need to install - simply runs from DVD and memory packed with loads of Linux applications. Hailed by many as the best Linux distribution ever.